Lifejackets, especially automatic types, come in a wide range of colours, specifications and different CE classifications. 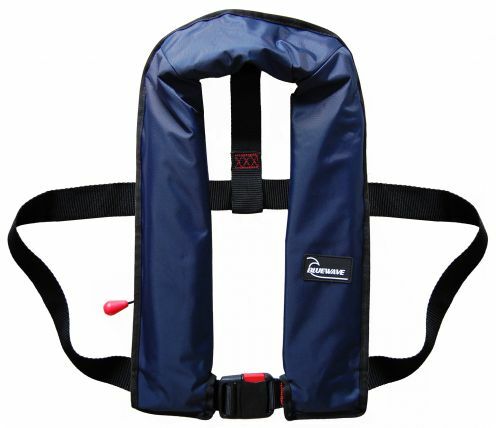 There are many reputable lifejacket manufacturers supplying the UK leisure marine market. The Marine Warehouse supply all major lifejacket brands including, Crewsaver, DWR, Kru, Seapro, Bluewave, Harveys, Superlight, Englands. Their range is synomymous with quality and value and the lifejackets are made in the EU. Unfortunately lifejackets are often left in the locker. Many would agree it's because they are uncomfortable and cumbersome to wear. Not true. A properly selected lifejacket should be comfortable and you should hardly notice you are wearing it. For example a 275N life jacket weighs in at nearly twice as much as our lightest 150N lifejacket, so we wouldn't use one for canoeing on our local lake! This needs to be considered, there can be as much as 1 kilogram of extra weight between automatic lifejackets. As part of our product descriptions in our store, each of our automatic lifejackets has a description of its typical use, and its weight, to help you decide which lifejacket is right for you. It's essential that you wear the right lifejacket for the job at hand. The cheaper models tend to be less comfortable and not have full safety harnesses. High specification 275N lifejackets have their uses, indeed we wouldn't be strapped into anything else in rough sea, offshore on a night passage, but aren't necessary for general boating. Comfort is an essential consideration if you are to wear your lifejacket regularly. We once made a long ocean passage and one of our crew spent all of his helm watch getting annoyed by a flapping lifejacket collar (not supplied by us!). Poor design resulted in a slapped neck every few seconds in force 4-5 wind! There are subtle comfort differences between automatic lifejackets, generally the more you spend the better the comfort. Leave the manual only lifejackets for pilots. When a plane ditches in the sea a pilot needs to escape before inflating his lifejacket to avoid being trapped. Many chandlers will happily sell you a manual only lifejacket. Why? - Because they are cheaper, they dont have the automatic inflator, so they are slightly cheaper to produce. Believe us the last thing you need to worry about in a survival situation is manually activating your life jacket inflator! Imagine getting knocked unconcious on the way into the water, not uncommon on a yacht, if you were unconcious a manual life jacket will do nothing for you. Pay the extra few pounds and get an automatic lifejacket. We welcome all feedback from visitors to our online store, if you have a lifejacket question, please ask us now, we respond very quickly! 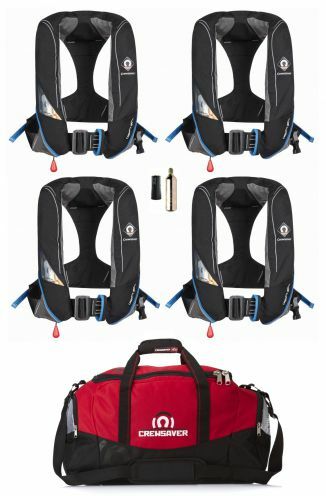 Click here to email us..
Our range of automatic lifejackets starts at just £49.99, and we have sets of four jackets with a free holdall and rearming kits. Visit the UK's leading lifejacket store for full details..